Thank's for visiting my profile! I am new to 99designs, but I've worked in design for more than five years. I studied Media Concept at professional school Ulm/Germany. In October 2015, I started studying at the University in Munich. I always try to give my best and find an optimal solution for my clients. 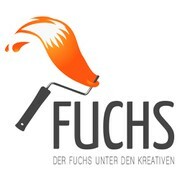 "TOP-Design und sehr netter Kontakt! Die gewünschten Änderungen wurden perfekt umgesetzt. "